I had the pleasure of interviewing Karen Torres, President and CEO of Ronald McDonald House Charities of Greater Washington DC (RMHCDC). Karen joined the organization in April 2012. 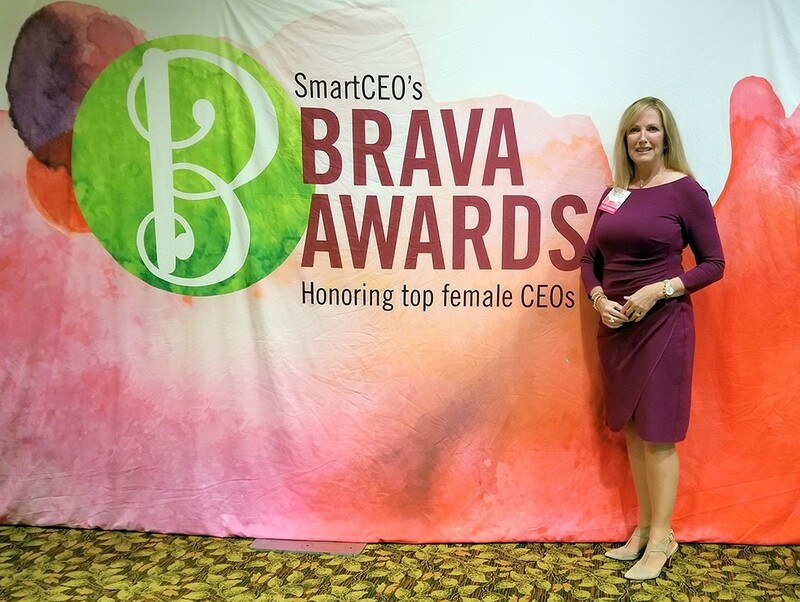 Karen is an elected member of the RMHC Global Advisory Council, and recently won a Brava Award from CEO Magazine recognizing high-impact female business leaders, based on company growth, community impact, and mentoring. Prior to joining RMHCDC, she worked in the private and public sectors in marketing, media, and public relations. Thank you for inviting me! My husband and I both wanted to finish our careers as leaders in the non-profit sector, using the skills we’d acquired throughout our careers in the for-profit space to give back to society. I especially wanted to join a charity, because I thought a smaller organization would most benefit from my business acumen. Every other member of my family has a career in medicine or healthcare, so I have a fair understanding of, and comfort level with, those fields. The mission of RMHCDC is to ease the hardship of children’s illness on families through programs that directly improve the health and wellbeing of children. Our vision is to be the catalyst to create a world where children have access to quality healthcare and their families can better comfort and support them while actively participating in their care. I was fortunate to be offered several opportunities in organizations with worthwhile causes; but when an executive recruitment firm approached me with this one, it felt like a perfect fit. 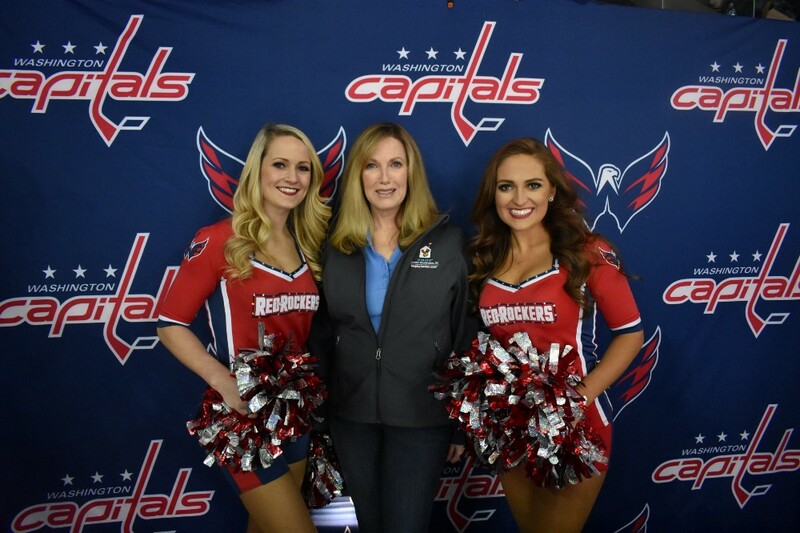 · The Washington Nationals had an RMHC Day at Nats Stadium with 40,000 baseball fans in attendance. Some of our guest family members and I ran the bases before the game and a guest family mom fulfilled her dream of throwing out the first pitch. To be completely accurate, the others ran while I strolled to home plate; I don’t run on camera! · I have been the honorary guest ringmaster at the UniverSoul Circus twice. No acrobatics required, but I did have to dance with Zeke, one of the stars of the show. · Every year I am invited to speak before 5,000- 8,000 gospel music fans at the Black 365 Celebration Inspiration Gospel Tour. The tour features Grammy-winning gospel stars and is an amazing musical experience. Everyone knows the adage about making assumptions, yet I am embarrassed to admit that I made that very basic mistake when I started with RMHCDC. On my first day, I gathered my team together and launched into a lofty spiel about how this was a business whose output is charity; the necessity of taking a deep dive into the architecture of our strategy, structure, and systems to identify areas for improvement, and implement process efficiencies, outcomes-based performance metrics, etc., etc., etc. I concluded by announcing that I preferred a paperless work environment and wanted to move the entire organization to that status. The assembled staff just stared at me blankly, careful not to make eye contact with each other. There are tens of thousands of non-profits operating in the Greater Washington, DC area. Of that number, 204 competing organizations cover a broad range of services that RMHCDC offers; but there are no other organizations in the area serving the same, unique population as RMHCDC. Ronald McDonald House Charities is now in 64 countries and regions of the world, so we also have very high name recognition. In addition to growing our local programs to serve 8,000 children and their families annually, I am very proud that we have received the highest ratings awarded by every charity-rating institution, based on our financial health, accountability and transparency policies, public reviews, and administrative-to-program cost ratios. Ratings show donors how efficiently a charity will use their support, and how well it has sustained its programs and services over time. Top ratings are awarded to the best charities that do the most with their donations. Just recently, Business.org published a report of the best charities in each state, naming us the Best Charity in Washington, DC. I am very excited about our newest program. In mid-2017 we launched our 2nd Ronald McDonald Care Mobile, in partnership with MedStar Georgetown University Hospital. A Ronald McDonald Care Mobile is basically a 40-ft.-long pediatrician’s office on wheels, that brings free health care to children in underserved neighborhoods. Our new Care Mobile is home to the FITNESS program (Fun in Teaching Nutrition and Exercise to Successful Students), a truly unique and innovative approach to address the public health crisis of childhood obesity. The national rate of childhood obesity is an alarming 18%. In Washington, DC the rate is almost double that, and the third highest in the U.S. — a staggering 33.8%. Childhood obesity is linked to chronic diseases such as asthma, diabetes, and hypertension, and affects the overall health, including self-esteem and mental health, of children facing these challenges daily. Childhood obesity also leads to a lifetime of poor physical health, often a poorer self-image, a lower quality of life, and a higher cost to society. Overweight children are 70% more likely to be overweight adults. Approximately 40–45% of adults have at least one chronic disease, usually related to some combination of poor nutrition, a lack of exercise, alcohol abuse and/or smoking. The cost to society is not just in higher health care costs (86% of the nation’s health care dollars go to expenses related to chronic disease) but in lost productivity. The FITNESS program targets children in grades K-8 in low-income underserved neighborhoods. The objective of the multi-disciplinary evidence-based practices of the program is to help children and families in each school’s general population incorporate healthier choices into their daily diet and activities. In addition, a comprehensive healthy weight management program is offered to children already identified as overweight or obese. There is growing evidence that children who are physically active and consume healthy diets achieve greater academic success, improved behavior in the classroom, and miss fewer days of school. To guarantee long-term systemic change, the FITNESS team relies on three essential partners: parents, schools and communities. Teaching parents how to shop for and prepare nutritious food is a vital component to a sustainable change in behavior at home. Bringing the FITNESS Program directly to each school encourages school leadership and faculty to play an integral part in changing the school environment so that a culture of wellness is embraced. The final key is working collaboratively with the larger community to address barriers to health in these lower-income neighborhoods, such as a lack of fresh food options in local food stores, a lack of access to farmer’s markets, and fewer safe play spaces for children. The FITNESS Program uses experiential learning to teach children and families the importance of good nutrition and regular physical activity — providing these children and families the tools, knowledge and self-motivation to make the critical changes necessary to ensure better long-term physical and mental health. Perhaps the most important piece of advice I can give is to ensure a healthy workplace culture that fosters employee growth, innovation, leadership, and responsibility. Make a concerted effort to promote a culture that stresses and rewards excellence in the spirit of collaboration, cooperation, and shared purpose rather than competition. Share your vision and values and exemplify them daily in every action. Create a space where employees feel safe, valued, and inspired, and the team, as well as the organization, will thrive. I am not a micro-manager, and I believe that in any size organization, it is important to recognize, nurture, and develop leaders at every level of your organization. Hopefully, you have hired well for your senior leadership positions- so demonstrate your trust in their capabilities and allow them to lead. Identify staff at lower levels who have subject matter expertise in a certain area and are eager to take on more responsibility, then empower them to “own” that area. Ensure that everyone possesses the skills and resources they need to succeed in their current role, then stretch their capacity so they can grow into the next level of responsibility. And of course, be organized and adept at time management. I have been so lucky throughout my career in that in most of my jobs, I worked for leaders who trusted in my capabilities and believed in me enough to allow me a great deal of latitude and creativity to accomplish my goals. But the genesis of my path to success lies with my family. In many respects my parents had an old-school traditional marriage: my father was an orthopedic surgeon, and my mother trained as a nurse but stopped working to be a stay-at-home mom to four daughters. What was somewhat atypical at the time, was that our upbringing was not gender-biased. My parents expected us to pursue and excel in any activity, sport, or career in which we showed interest and aptitude. Education, intellectual curiosity, full utilization of our intellectual capacity, and a strong work ethic were highly valued in my family. I don’t think it occurred to any of us to consider that being female was relevant one way or another in our choices, and subsequently, all four of us became successful in our respective careers. I am privileged to see the fruits of my labor every day. Our administrative offices are in our Ronald McDonald Houses: home-away-from-home for families whose seriously ill children are being treated in area hospitals. Families are so grateful to be able to stay together and close to their sick children, appreciative of all the amenities, but especially the psycho-social support that the RM Houses provide. I feel humbled and gratified that my work helps to relieve some of the heavy burdens carried by so many thousands of desperately ill children and their families during such a traumatic time in their lives. The one thing we can count on is that nothing will stay the same. The ability to learn and adjust to changing circumstances is crucial to success. The best leaders predict and prepare for change, quickly adapting their vision or business practices to keep the organization relevant in a rapidly-evolving business landscape. 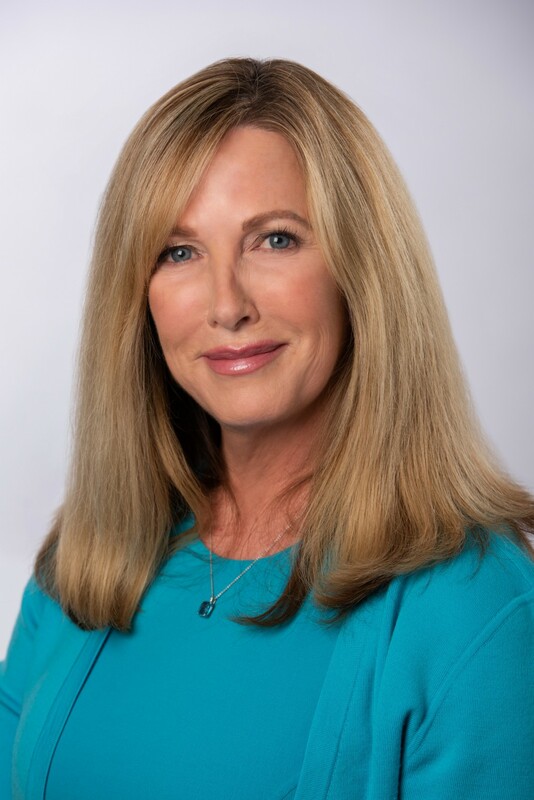 Years ago, I was hired by United Network for Organ Sharing, the organization that manages the nation’s transplant wait list, to create a national speaker’s bureau to bring awareness to UNOS and its role in organ donation. The parameters of the bureau were vague: recruit “famous” people who had direct experience with organ donation to help raise awareness and funds. Over the next five years, we had to continuously adapt different tactics, learning from each success or setback. Events ranged from cocktail parties in private homes, to events at stadiums with 50,000 people, to planning a concert by Earth Wind and Fire. The willingness to get out of my comfort zone, let go of previously held ideas, collaborate with wildly diverse personalities, and take calculated risks all contributed to the adaptive problem-solving leadership style I have today. Since change is inevitable, like it or not, it behooves a good leader to become adept at change management. It is a time-consuming, sometimes tedious process, but effective change management is a structured approach that will reduce the risk to the organization and smooth the transition from the current to the future state while maintaining employee morale and acceptance of the change, increase productivity, and enhance innovation. I have had to use change management in almost every position throughout my career. In one of my roles in media and public relations, I needed to transition the brand of a hospital blood bank in a small city to that of the large state-wide organization that had acquired it. The decision was made at the executive level, and the employees were very unhappy about it. I didn’t understand their disgruntlement since their daily work would basically stay the same, and their customers would be the same. I had to put aside my own biases and listen carefully and non-judgmentally to their fears. Once I fully appreciated the root problems of their resistance, I could engineer a plan to effect the necessary changes that would also get employee buy-in. Everyone benefits from continuously learning and expanding their skill sets. Learning about topics outside of your daily experience inspires creativity and new ideas that are crucial to leadership. Knowledge and skills are transferable to many different situations. For example, the cooperation and collaboration required to play a team sport in school is easily transferred to becoming a valued team player in the office. I am probably more change- and risk-tolerant than many people, so my career path has been zig-zag rather than linear. My prerequisites for choosing a new position were 1.) It was completely outside of any prior experiences and 2.) It gave me the opportunity to creatively transfer current skills and acquire new ones. Putting on a rock concert was certainly not something I had done before, and I can’t imagine ever doing again, but it certainly honed my multitasking, organizational, and negotiating abilities, which are useful in any application. Learning how to cultivate a good working relationship with your boss is critical to an employee’s success. Take charge of your own work experience. Be proactive and take the initiative to learn your boss’s priorities, his/her preferred communication style, and the desired format and frequency of updates. Make sure you have an accurate understanding of your boss’s directives and requests; you don’t want to waste time working on the wrong things. Find opportunities to shine by doing great work. Making your boss’s life easier will make your own working life easier. In my second job I learned the hard way how important this skill is. I was hired as a salesperson for a national industrial supply company and the first woman in a division in Philadelphia. My boss was the branch manager, overworked, harried, and accustomed to working with seasoned, older men. I was handed a list of prospects and current customers and sent on my merry way. I quickly discovered that my understanding of his expectations was sadly deficient. He was a micromanager who expected detailed written reports every week, whereas I was used to little supervision and occasional in-person meetings. I believed I was wildly successful because I doubled sales from current customers- the highest ever achieved. He did not consider me successful, because I only reached 50% of my new business goal. This was not the job of my dreams and I only lasted a little over a year, but had I known then how to manage up, it would have been a lot less frustrating for us both. Leaders must have followers. People inevitably look to their leaders for motivation and encouragement. A good leader can clearly articulate a compelling vision and inspire the trust of others to follow that vision. They must generate enthusiasm, and consistently demonstrate commitment and passion which helps focus on current issues and future goals and inspires employees to act in the same way. Throughout my career, I have often come up with more unusual solutions or taken a different direction from the norm. I learned that I needed to be able to “sell” my ideas to bosses, colleagues, and other constituents, and help them feel connected to the steps or processes necessary for the accomplishment of the goals. I would love to inspire a movement around universal social responsibility and accountability. There is a great deal of negative dialogue on the many social ills in the world. People bemoan the state of the world and how poorly problems are addressed by others. I would have every single person ask themselves: what amI doing to actively contribute to the solution? Choose a cause(s) meaningful to you: if it’s hunger, volunteer for an organization that prepares and delivers meals or in a soup kitchen; if it’s animal welfare, volunteer in an animal shelter or foster rescued animals. At the very least, donate to the organizations who work diligently to address these issues. Believe me, they will be thankful for the assistance. Whatever your cause, take personal responsibility to do something to improve the problem; again, actively contribute rather than pontificating, deriding, or depending on others to fix. I think my movement would make the world a much better place! As I’ve gotten older, my mantra has become “This too shall pass.” It is simply a reminder for me to try to live as much as possible in the present. While it is necessary to learn from the past and prepare for the future, it is useless to fret about what might happen or endlessly chew over past mistakes. Life is cyclic: relish the joyful times and believe that you will weather the difficult times, knowing that these will come and go with the flow of life. Well, I’d certainly have to get in a long line, but I would love to enjoy breakfast or lunch with Melinda Gates. This is a woman with enormous wealth and privilege who has chosen to use it for the greater good. She is already a founding member of my movement! I know there are countless articles about her and the Gates Foundation, but it would be fascinating to learn more about how she came to her personal beliefs and chose the path to pursue, and how she raised her children within that sphere of affluence. 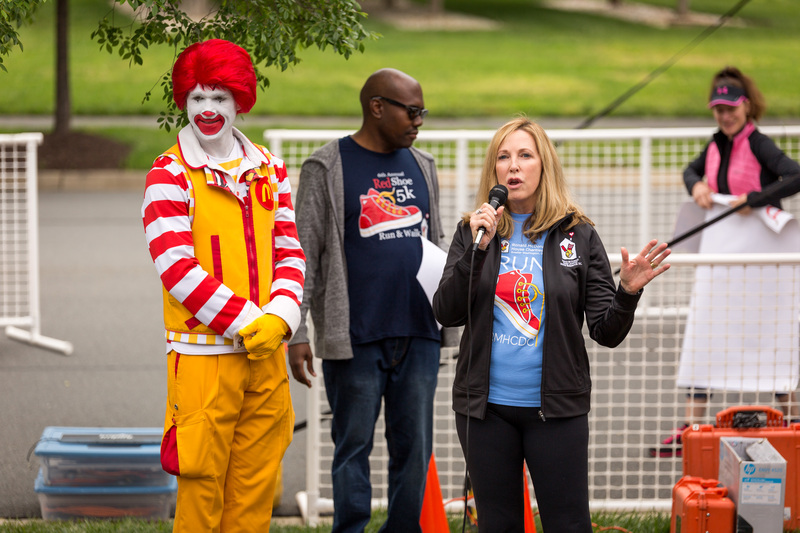 It would also be a unique opportunity to tell her about Ronald McDonald House Charities and the difference we are making to more than 5 million children and their families world-wide each year through innovative programs that improve children’s health and further family-centered care.